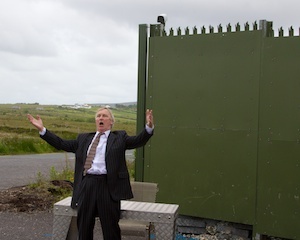 Cruss T. Anarcho Mc Professional Protester gives us a rundown of events so far at the Week of Action against Shell in Erris, Co. Mayo. Today, Monday 24th of June, six people, two piloting kayaks, ventured out onto Sruth Fhada Conn estuary to disrupt the progress of a boat doing surveying work for the Shell Corrib gas project, in a continuation of Rossport Solidarity Camp's week of action. 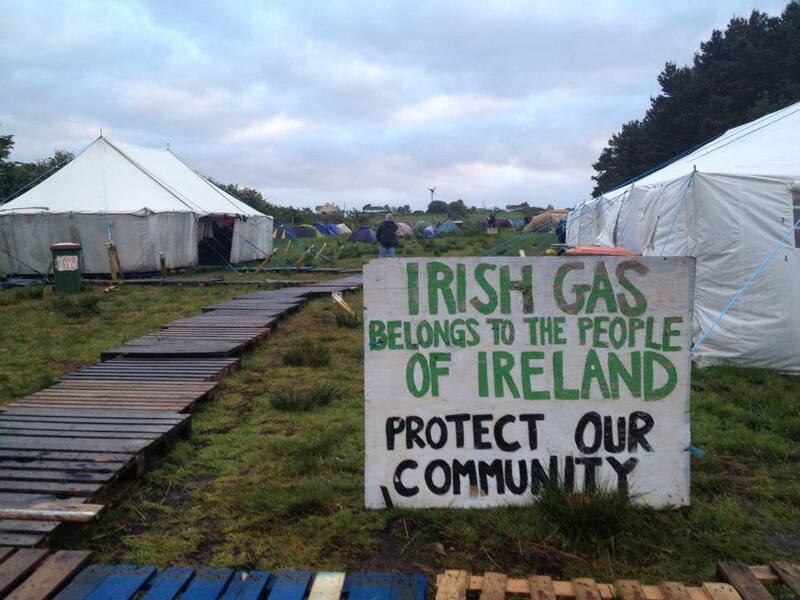 Today, Sunday 23 June, around eighty people stormed a work site of the controversial Shell Corrib Gas project near Rossport, Co. Mayo. Significant damage was caused to construction equipment. This was the latest event in thirteen years of struggle against the project, which faces concerted opposition from residents due to its dangerous, experimental nature.